Since 1995, Maximum Velocity Stunt Team has been providing high-energy, full-out entertainment all over the United State and the World. Our ever-increasing number of clients from network television, state fairs, half-time shows, car shows, corporate parties, fund-raisers, monster truck shows, festivals, amusement/theme parks, etc., continues to support our quest to be the best. Through our countless experiences on the road Maximum Velocity Stunt Team continually applies this knowledge to develop better and more exciting performances and a truly unique and thrilling experience for our audiences every time. All of our athletes have been in their respective sport for at least 5 years. Around 95% of them continually enter and place in contests throughout the United States and abroad. Drawing from this wealth of individuality and expertise, Maximum Velocity Stunt Team has been able to put together many different show formats to specifically address the requirements of the venue, budget and audience. Each show/performance is a full-on, action-packed experience. Our show outline allows the athletes to choose the tricks they want to do. Why? When an athlete gets “in the zone” from an excited audience, incredible things can and will happened. Maximum Velocity Stunt Team also gets support from talented and knowledgeable emceeing that gets both the athletes and audience pumped up for an experience everyone will talk about long after the show. 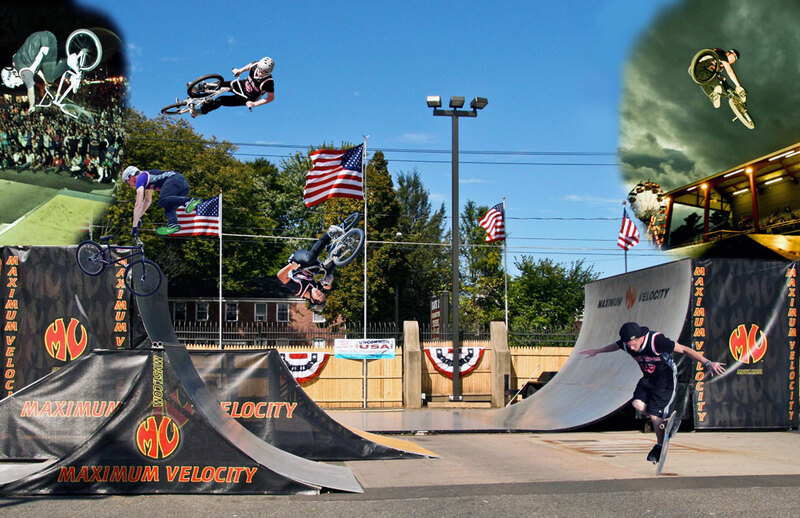 Maximum Velocity Stunt Team continues to create action-packed shows for audiences around the world. Need more convincing? Check out our Media Page (helmet recommended).